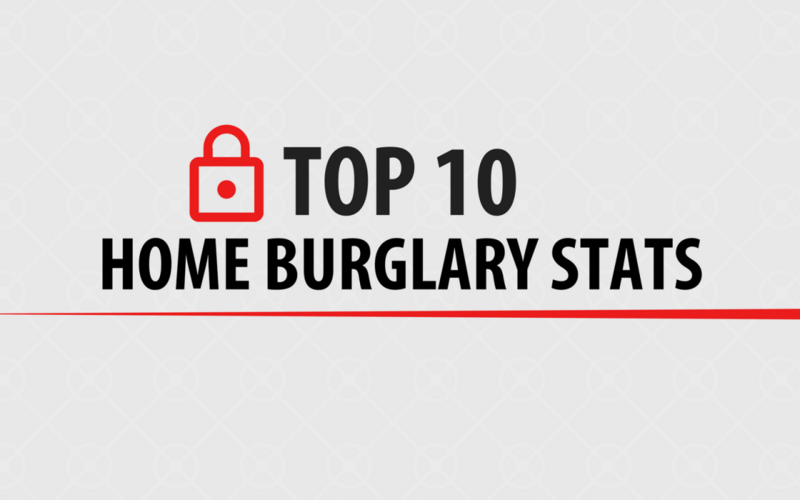 Top 10 Home Burglary Stats! Did you know that about 40% of burglaries don’t involve forcible entry! Just by properly securing your home, you can reduce your chances of unlawful intrusion. 5LINX Security Systems provided by Protect America Inc.is here to help keep you, your family and your home safe! Protect America offers video, alarms and smoke detectors to ensure your home is completely safe. Here are some interesting burglary stats to put things into perspective. Majority of break-ins are committed by thefts who live nearby. Most burglaries take less than ten minutes. An unlocked door or window is the entry point for nearly 30% of robberies. Believe it or not 34% of burglars enter through the front door. Amazingly someone is home during nearly three out of every ten robberies. Only 13.6% of burglaries actually result in arrests. Let us help YOU stay safe! Learn more about Protect America here and sign up for your home security system here.